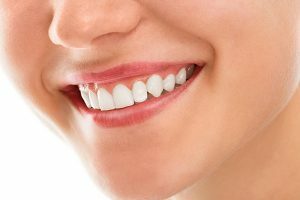 Did you know that strong, healthy teeth rely on healthy gums? If your gums are unhealthy, so are your teeth. This is because your gums serve as an important barrier in protecting your teeth as well as their surrounding support structures. The leading cause of gum problems is the bacteria in plaque. The bacteria generate harmful toxins that create an inflammatory process that affects the gum tissue. If left untreated, bacterial plaque can result in damage to your teeth and your gums. Gum disease is the leading cause of tooth loss in adults and may be linked to other chronic health issues such as diabetes and heart disease. There are two types of gum disease – gingivitis and periodontitis. Untreated gingivitis can progress to periodontitis, and this can eventually cause tooth loss and other health problems. Gingivitis is the first and milder stage of gum disease. At this point, the gums are red, swollen and bleed easily. A person with gingivitis may experience little or no discomfort. Gingivitis often occurs due to inadequate oral hygiene. With professional treatment and good home care, the onset of gingivitis can be reversed. Periodontitis is the advanced stage of gum disease and the result of untreated gingivitis. Over time, the plaque can spread and develop below the gum line. The toxins from the bacteria in plaque irritate the gums. As the condition advances, the pockets (spaces between your teeth and gums) deepen, and more gum tissue is destroyed. Most of the time, this destructive process has very mild symptoms; however as time goes by, teeth can become loose and may need to be removed. For early stages of gum disease, the treatment may involve regular dental check-ups at least twice a year and a professional dental cleaning by the dentist or dental hygienist to remove the plaque build-up and prevent the disease from leading to a more severe condition. If gum disease has already advanced to periodontitis, the dentist will perform scaling and root planning to treat diseased periodontal pockets and infection to the gums. Laser treatments may also be needed to remove tartar deposits. Other recommended treatments for moderate to severe periodontitis include gingival flap surgery to reduce periodontal pockets, and bone grafting to restore lost bone. Your doctors at Cardiff Dental can help keep any gum disease under control. We will educate you about oral hygiene and schedule regular dental visits to monitor your condition. If you experience any of the symptoms mentioned above and have any questions about gum disease, we will be happy to answer them and recommend the best solution to your problem. Contact us on (02) 4954 6888 today!